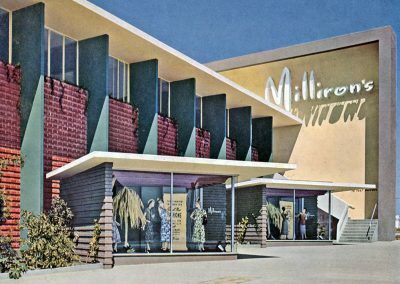 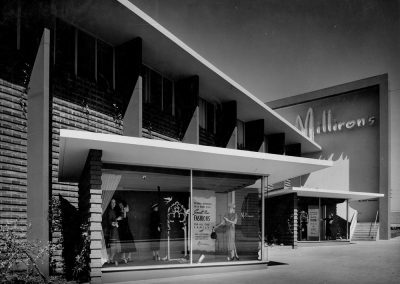 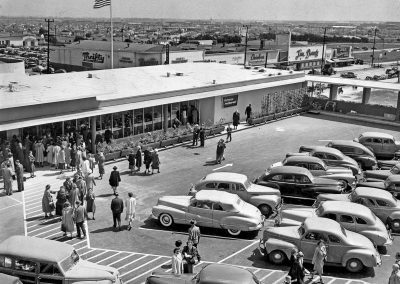 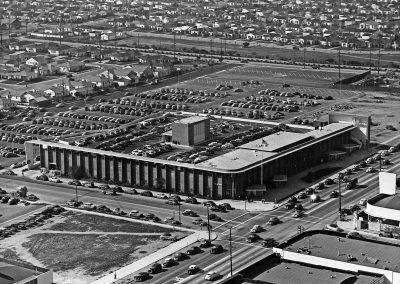 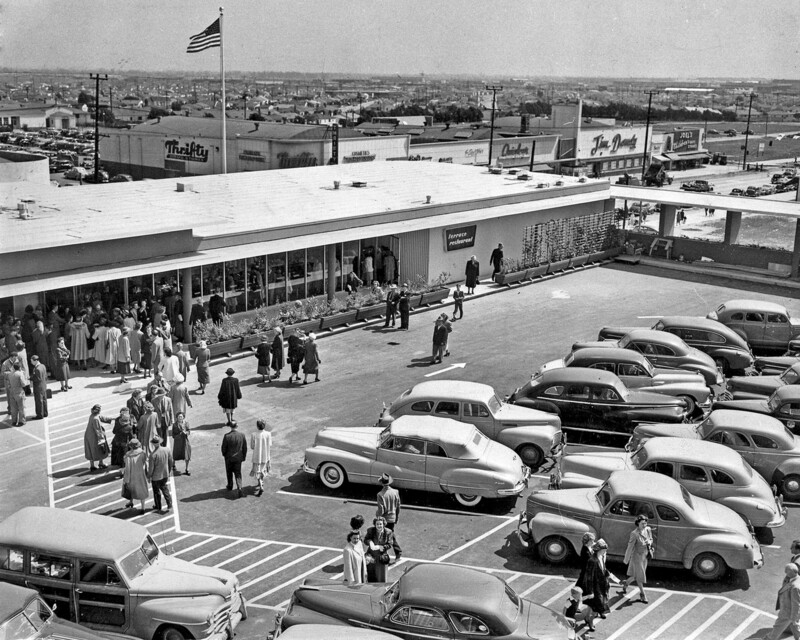 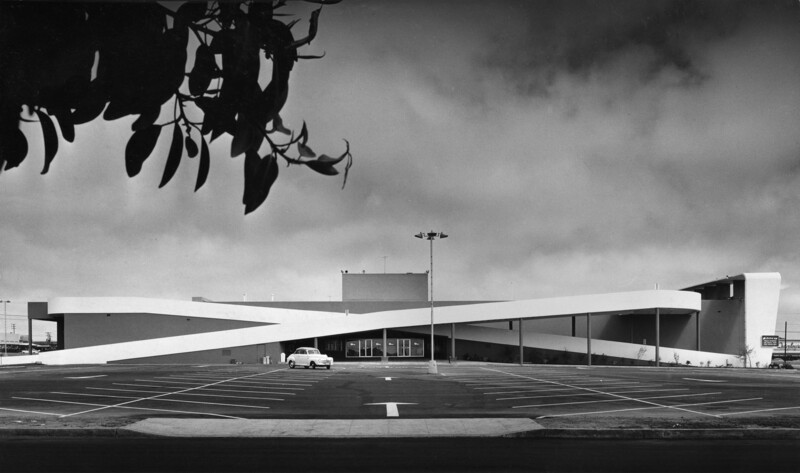 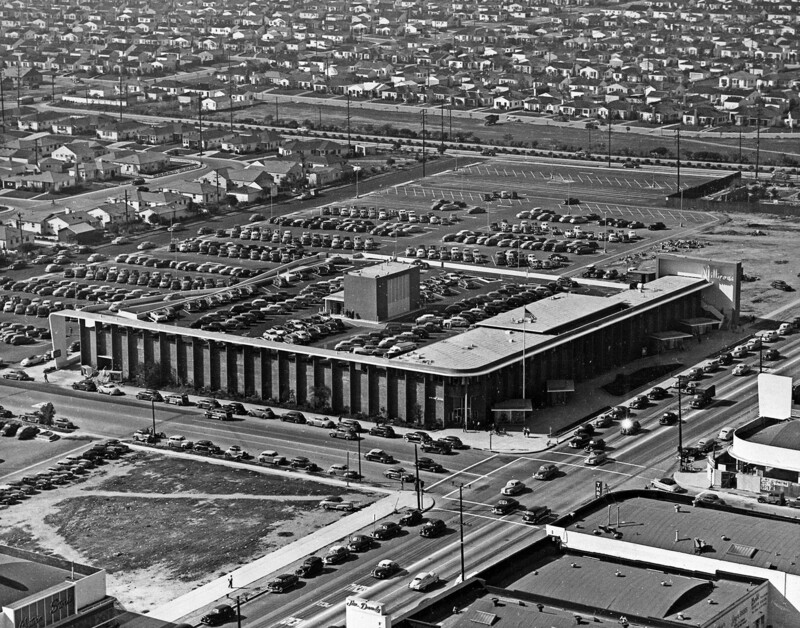 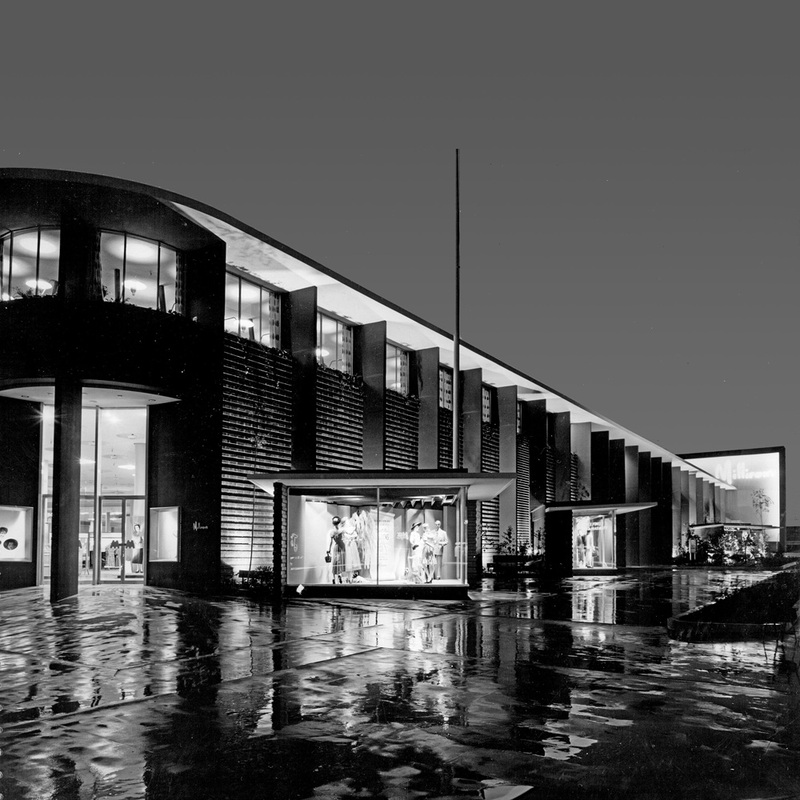 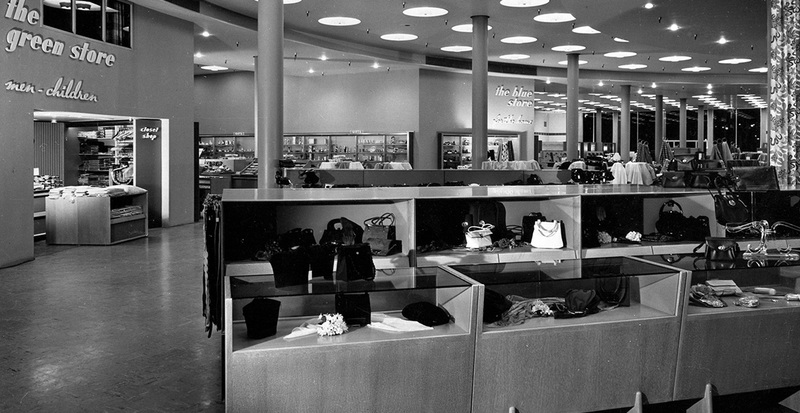 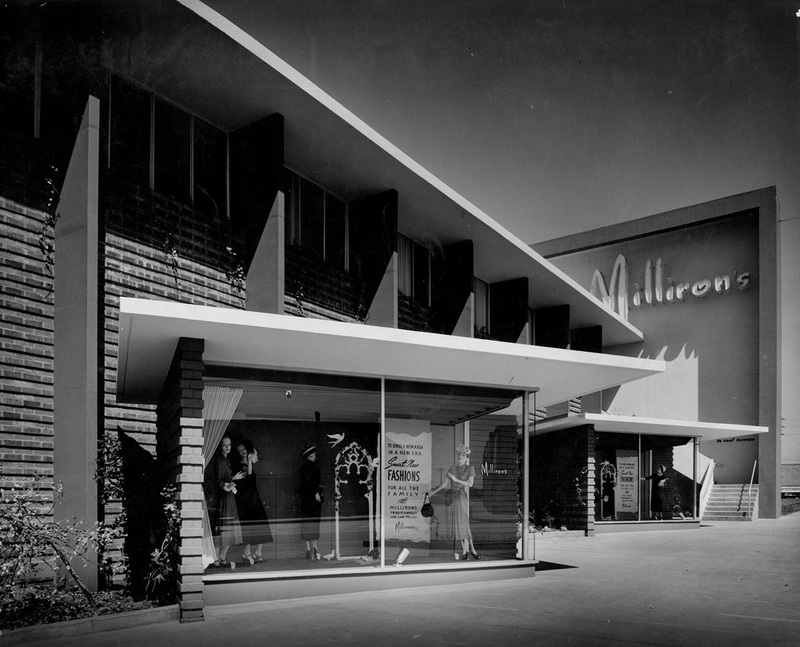 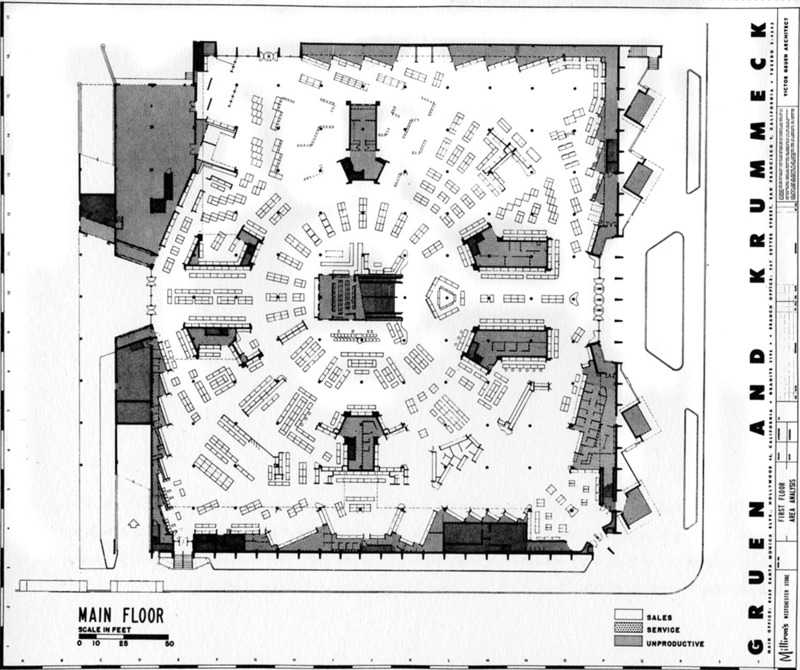 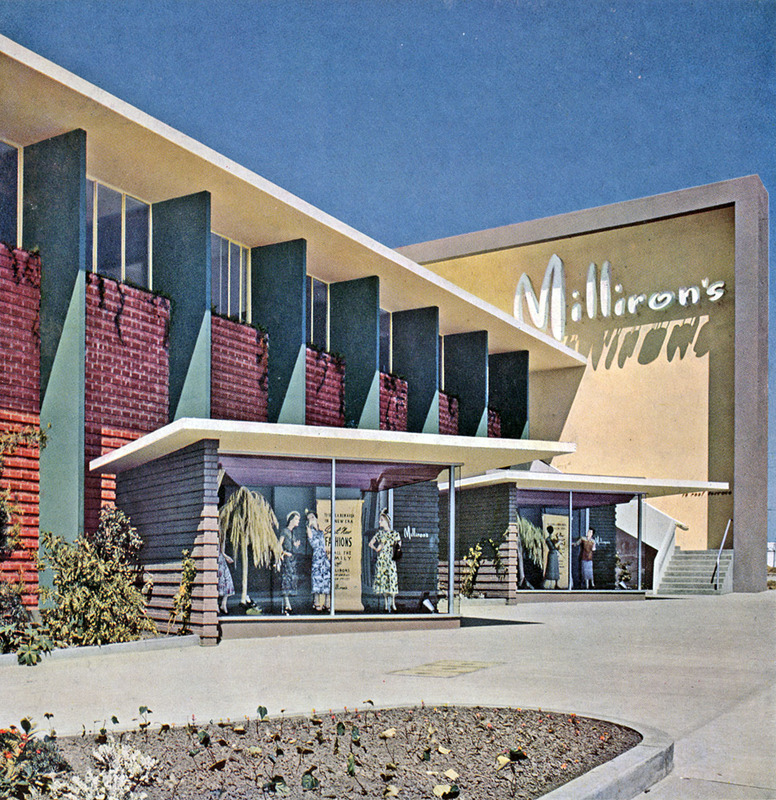 In 1949, Milliron’s was Gruen Associates’ first major project and the genesis for the regional shopping center concept. 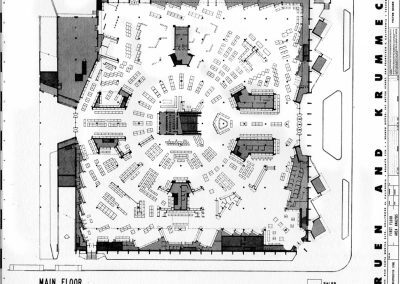 Located in downtown Westchester, and originally proposed as a three-story building, Gruen cited the economic advantages of a low, sprawling building. 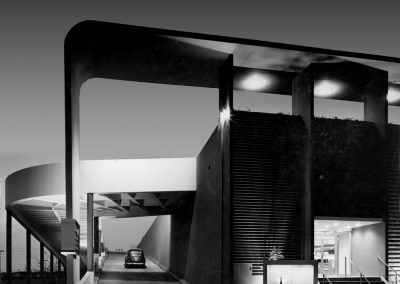 A greater number of cars could be parked on a reinforced roof with ramp access, which would be less costly than a multi-story building with ground-level parking. 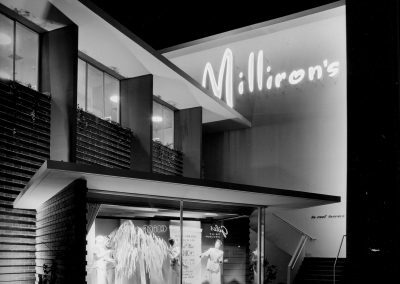 Milliron’s contained “five stories” within one story with rooftop parking for 220 cars. 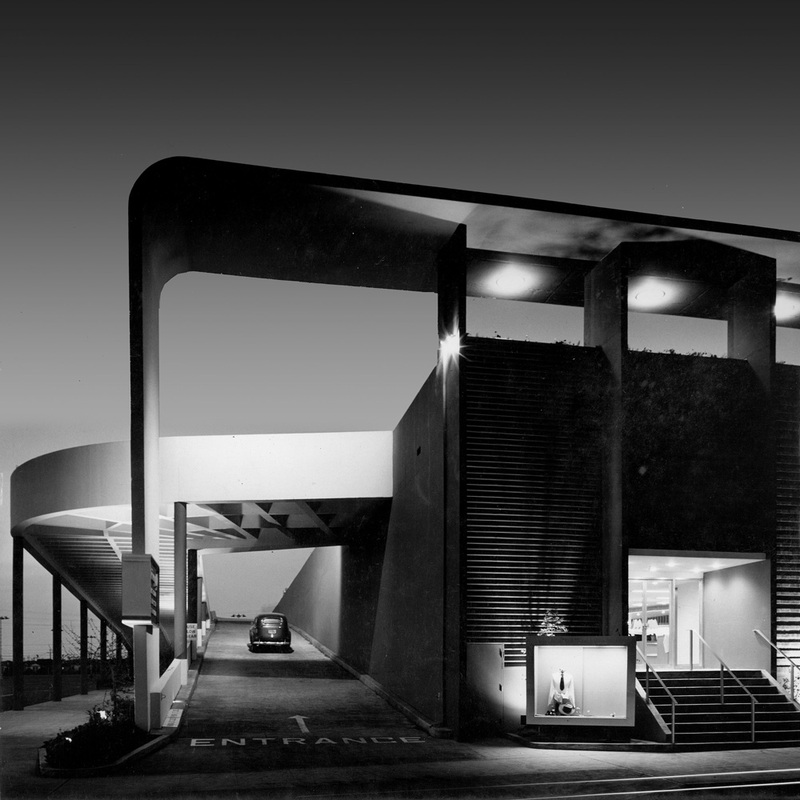 Recognizing the limits of a one-story building, Gruen’s architects put the restaurant, beauty parlor and auditorium on the roof to elevate the main façade to a height of 30 feet. 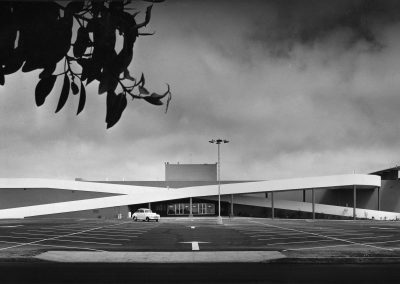 The elevation was carried around the secondary façade to screen parked cars and stair towers from the view of passersby. 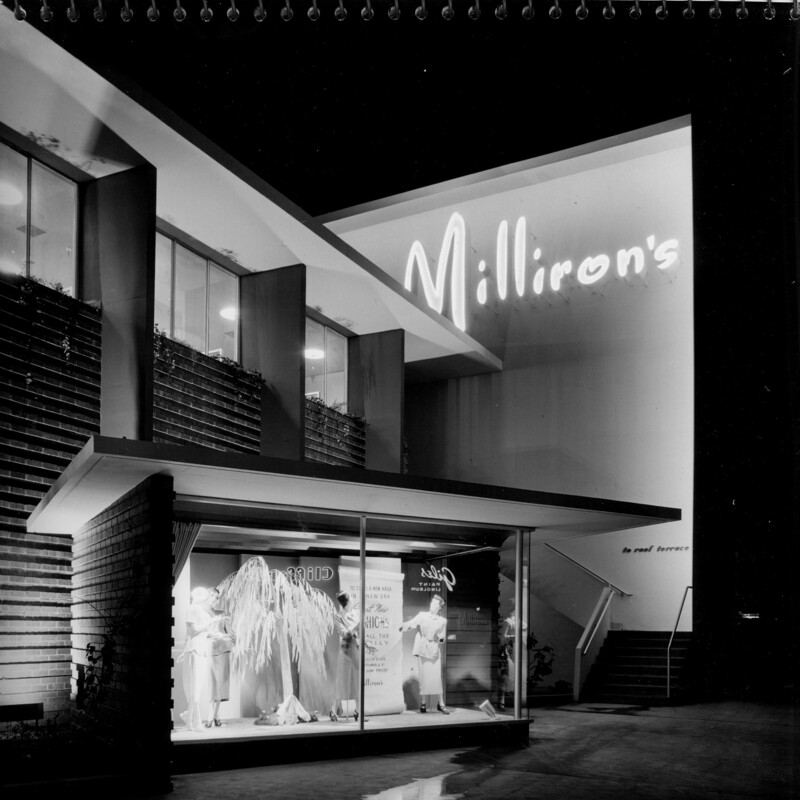 From all important angles, Milliron’s appeared to be a two-story building. 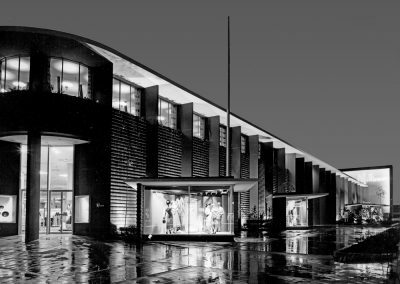 Its apparent height was accentuated by the vertical concrete fins that were the principal design motif.